February 2016 – Got Hair Issues? I've Got Solutions. I’m sure you’ve heard the phrase “You are what you eat”. In so many ways, this is true. If we eat a healthy, balanced diet, it shows up in our energy level, our ability to focus, how our skin looks and yes, even our hair health!! A diet rich in nutrients will help you stay healthy, ageless, and all-around fabulous. So why not give yourself a beauty boost with enhancing nourishments? Below, we’ve outlined some positive nutrition practices to keep in mind for a healthier mane. Leafy greens are filled with nutrients and a whole lot of water, which helps keep your hair hydrated. Without proper body hydration, your hair will begin to look dry, which can contribute to breakage. Leafy greens also condition and create healthy scalp oils, and they contain antioxidants that fight free radicals from pollution, helping to strengthen and thicken hair. Seriously, who knew? For the greatest nutritional benefits, leafy greens, like broccoli, kale and spinach, should be consumed raw or lightly steamed. Hair is made of protein, so ensuring you have enough protein in your diet is crucial for making it strong and healthy. If you are not consuming enough protein in your diet, your hair is likely to become dry, brittle and weak. Extremely low protein diets may also result in hair loss, and nobody wants that! Add a few servings of protein to your daily diet for stronger, healthier hair. Examples of protein include chicken, turkey, fish, dairy products and eggs, along with vegetarian sources such as legumes and nuts. Omega-3 fatty acids nourish follicles for stronger, shinier hair. Eat fatty fish like wild-caught salmon and albacore tuna. Incorporating avocados into your meals will also help fortify hair for stronger strands. So go ahead – order that extra serving of guacamole. Your hair will thank you. How about stepping things up a notch with a powerful, healthy hair supplement? 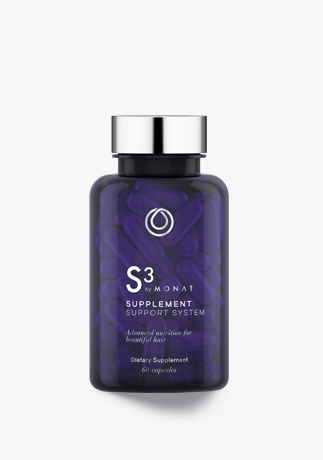 Take your hair growth to the next level with our brand new supplement called S3 by MONAT! Each of the clinically proven ingredients found in S3 work together to replenish the body of possible nutrient deficiencies that could be contributing to hair loss. The best part? S3 is gluten-free, GMO-free with absolutely no animal byproducts. Resolve to make these few nutritional changes to your diet. Don’t sabotage yourself! Drink plenty of water and feed your body and mind the healthy way. You’ll begin to see positive changes in the way you look and feel in no time. 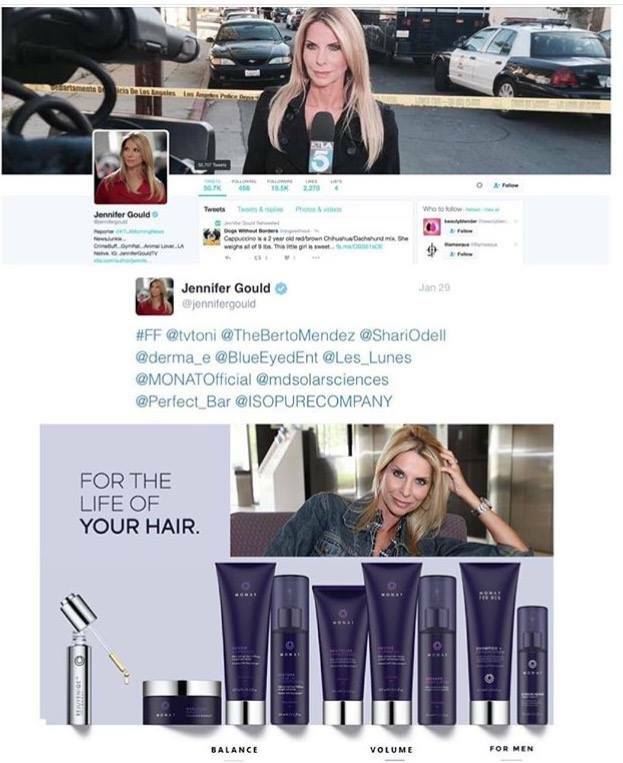 This is Jennifer Gould, an award-winning reporter in Los Angeles, California since 2009. Her career spans almost 2 decades, with experience ranging from breaking news and features to the wide world of health and entertainment. 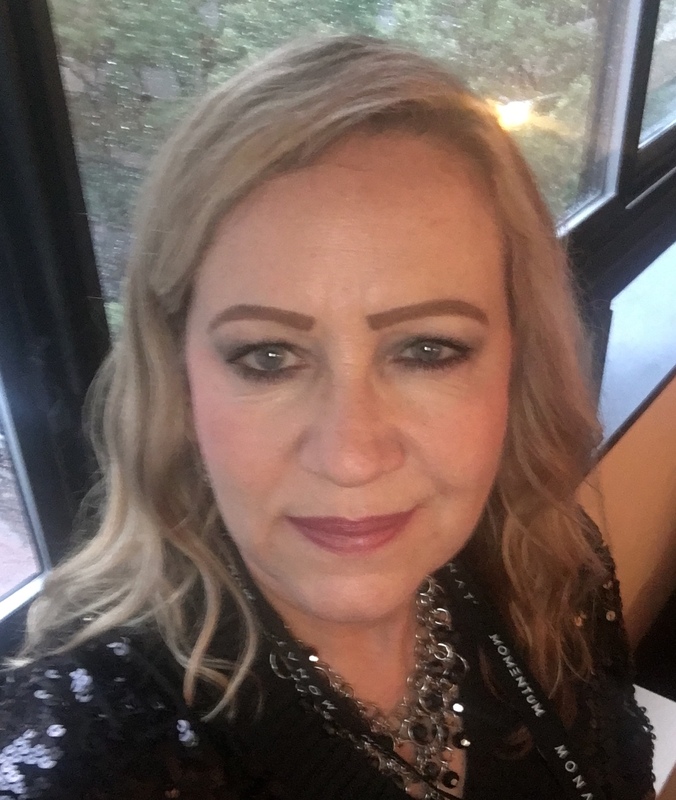 She’s a passionate animal lover and activist, so when she heard that MONAT is a naturally based, sustainable, and cruelty-free hair care line, she had to try the products for herself. She loves our Rejuveniqe Oil and says that “every time she uses it she gets MAJOR compliments on her hair“! If you haven’t heard about MONAT just yet, you will. This company that’s only a little over a year old is growing at lightning-speed. 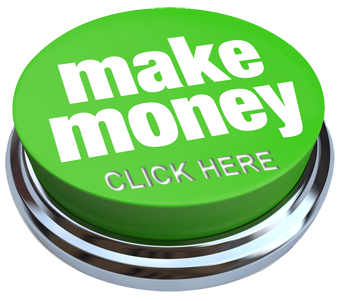 If you’re a person that looks for incredible money-making opportunities and you understand timing is everything. Or maybe, you’re just ready to try something new and different that could change your world! Entrepreneurship is the new retirement plan! We need to chat and I’ll answer your questions! Contact Me. 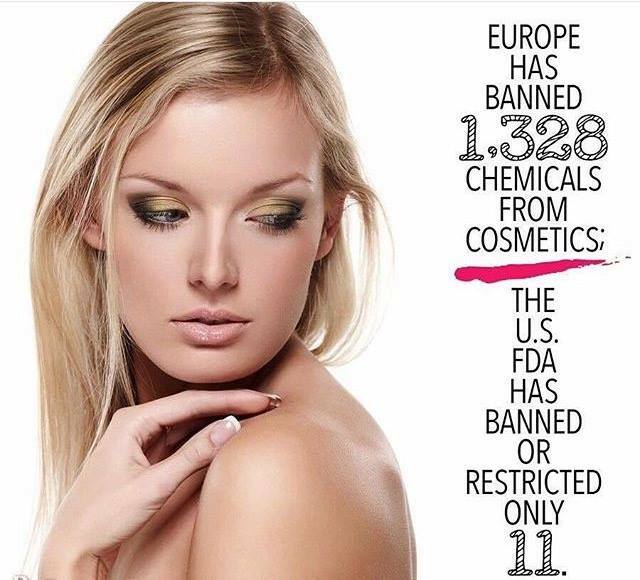 Europe has MUCH stricter standards than the U.S. does when it comes to what ingredients they allow in beauty products! Canada also has very stringent guidelines for safe product ingredients. When MONAT opened their doors for business in Canada last year, our products didn’t need to be reformulated to pass their standards which speaks VOLUMES for our superior-quality non-toxic products! Be sure to educate yourself on the ingredients in your hair and beauty products and know what’s safe and what isn’t. 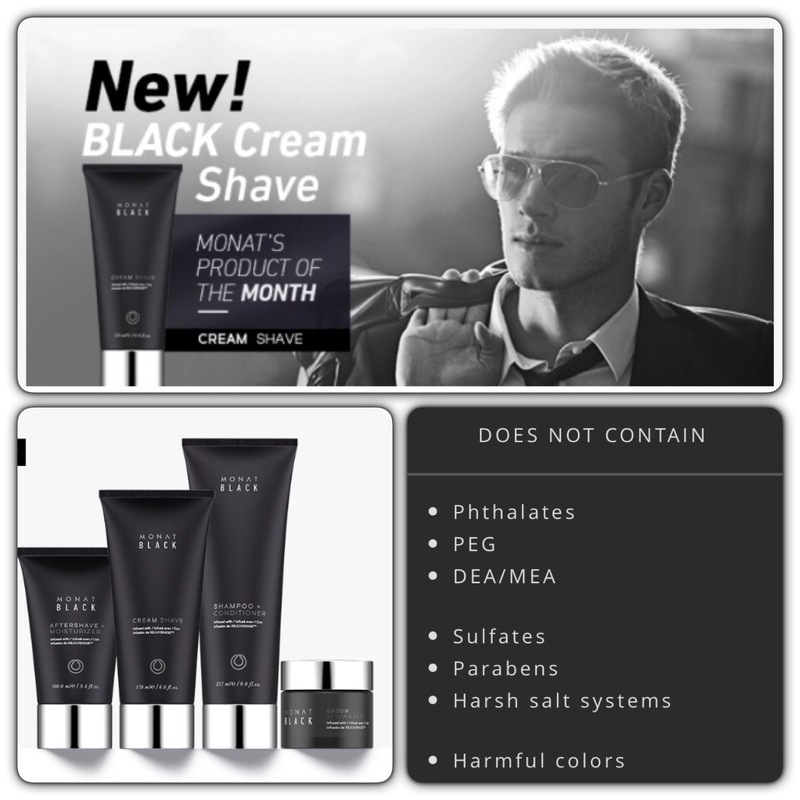 MONAT says NO to: Sulfates, Parabens, harsh salt systems, Phthalates, PEG, DEA/MEA, harmful colors/fragrances. All products are safe to use on ethnic, synthetic and chemo damaged hair as well as colored/chemically-treated hair (even extending the life of your color) and extensions. Check out my video and see why I’m so excited about our new exposure! New Products for the Man in Your Life! And, just like our hair products, you can see it contains none of the bad stuff either! No Phthlates, PEG, DEA/MEA, Sulfates, Parabens, Harsh Salt Systems, Harmful Colors or Fragrances. CLICK HERE to place your order today. Remember VIP is the way to go for discounts and free shipping on your products!